Did You know that the dark techno producer Ketev is also a classically trained contrabass player, influenced by minimalist composers, such as Steve Reich, or free improvisers, such as Joëlle Léandre? Check out this video teaser for the SHAPE artist’s first album of acoustic music, released under his real name – Yair Elazar Glotman – and titled Études. “Études” is a collection of solo contrabass performances recorded at the EMS studios in Stockholm, released by Subtext Recordings. The video features the track “Drift” and is directed by James Ginzburg. Ketev, meanwhile, is Glotman’s post techno project, made by phasing patterns from Reel-to-reel tape loops that are manipulated by 4-track cassette decks, Ketev creates roaring textures above slowly shifting rhythmic mantras. 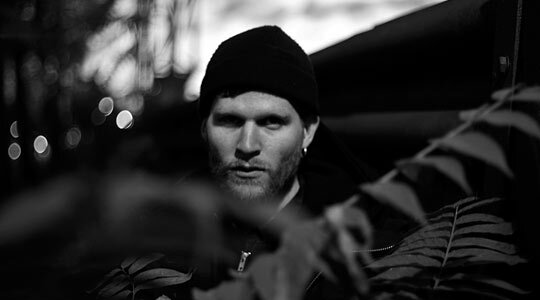 The artist’s self-titled debut release on Opal Tapes in 2014, described as “picking up where the darkest records by Andy Stott and Sam Kerridge left off” (Boomkat), was well-received, and quickly followed-up by a second release, Singular Stare, on the UK label where to now?. You can catch Glotman playing under the Ketev moniker at a SHAPE showcase as part of the musikprotokoll festival in Graz, Austria on October 8.